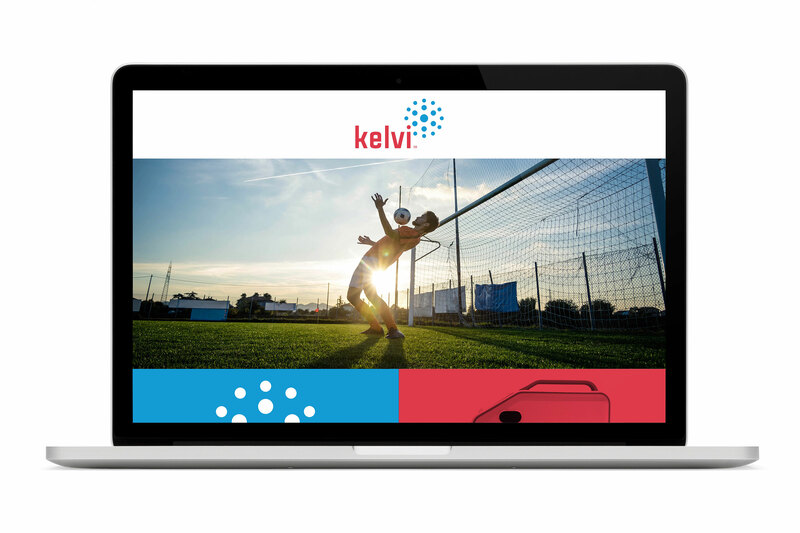 Kelvi is an innovative brand that has emerged as “the end of ice.” It intends to disrupt sports medicine, and other healthcare fields, with a patented cryo/thermotherapy device that brings a totally new approach to the training room, with fully electronic, all-digital heating and cooling in an Internet-connected device that adjusts at your fingertips. Our solution involved a complete branding and naming package to represent the innovative simplicity of the brand as it enters the sports medicine market, but also it is also something that could adapt as the product gains marketshare. The name, a succinct reference to the Kelvin temperature scale, was clear winner. An 18-dot logo in a blue and red color palette, evoking hot and cold connotations, extends from the final letter in Kelvi to represent radiating heat and cold. The branding needed to be approachable, yet representative of the entire functionality. The application needs were broad—from the product itself all the way to the app that puts precise control of therapy at one’s fingertips. 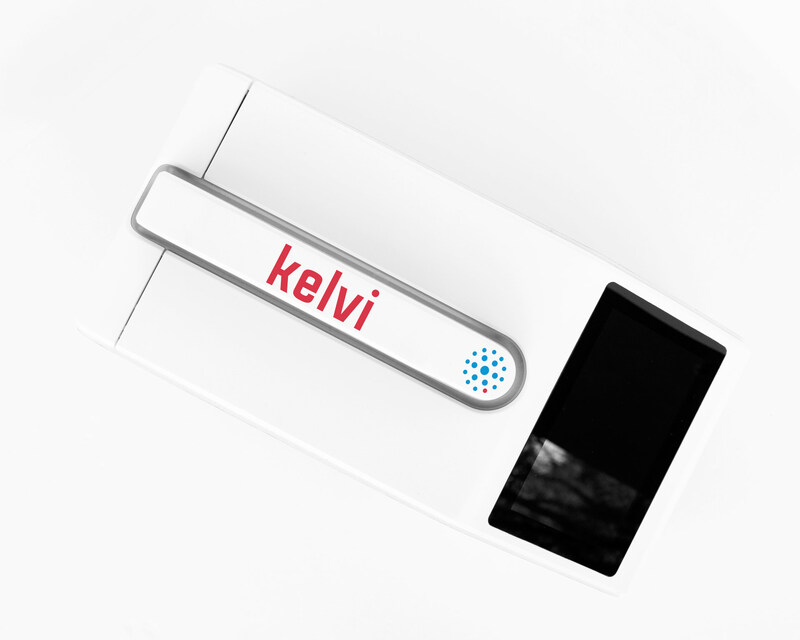 Our initial brainstorming produced the name Kelvi, a succinct reference to the Kelvin temperature scale. An 18-dot logo in a blue and red color palette extends from the final letter in Kelvi to represent radiating heat and cold, the signature trait of the brand. The branding can adapt as the product gains marketshare and placement in hospitals or other healthcare applications. The result is memorable and approachable with the ability to be extrapolated in many ways as the brand grows. 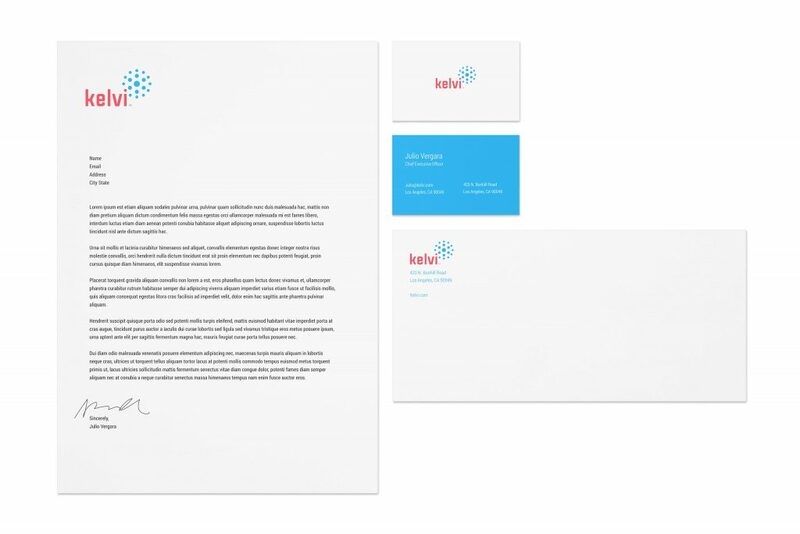 The highly memorable and recognizable branding has allowed Kelvi to gain and maintain brand recognition quickly, creating a higher demand for Kelvi products.